The GPI model 110000-70 is a M-240S-MU Aluminum Gear Pump with Manual Unleaded Nozzle. 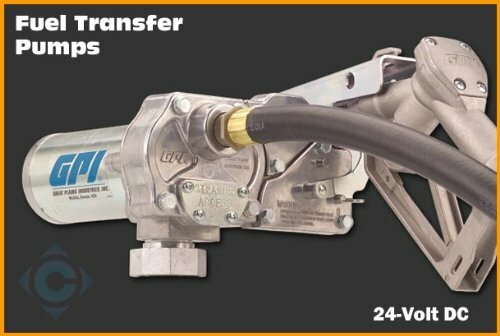 This Gear pump is a 24-volt DC Aluminum Gear Pump for fuel with manual unleaded nozzle. Up to 15 GPM (57 LPM). UL Listed Motor. CSA Certified. Overload Protected Motor (via inline fuse). It comes with 12 ft. (3.7 m, 3/4 in. diameter) Hose, Manual Nozzle, and a 18 ft. (5.5 m, 12/2 AWG) Power Cord, and its suction pipe is adjustable to 40 inches. Its unique features are that it has an improved flow rate and convenient spin collar.